It’s no secret that the entertainment industry is fraught with pressure. But that doesn’t mean that celebs should keep throwing shade at one another, right? 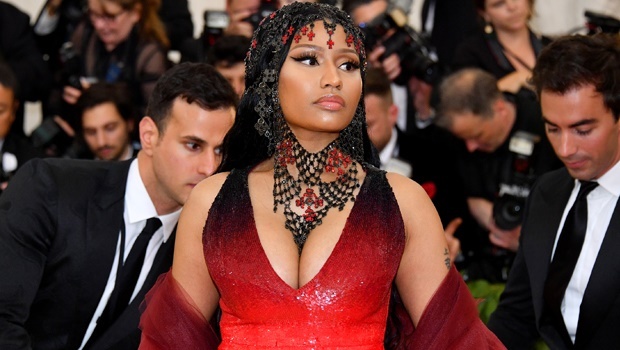 Recently, rappers Nicki Minaj and Cardi B were both in the spotlight at the Met Gala after they were seen spotted chatting in what looked like an amiable conversation. Rumours that the two were beefing have been making the rounds over the last few months, and according to US Weekly, Minaj revealed in an interview that Cardi B really hurt her feelings after the two of them collaborated with fellow artist, Migos. It was suggested that Minaj changed and re-recorded a verse on the Migos collaboration as a means to show up Cardi B, something Minaj refutes. Rumours were then further fuelled when behind-the-scenes footage of the music video for Motorsport surfaced and Nicki was nowhere to be seen. The reason for her absence was claimed as a scheduling conflict, but rumours have nevertheless persisted. So could their appearance and conversation at the Met Gala mean that the two have buried the hatchet? We really hope so. Not only are Nicki and Cardi B tremendously gifted artists in their own right, but in a world where the industry often likes to pit women against other women and cash in on the drama, we’d really love to see the two supporting and lifting each other up. Also, we are totally here for another collaboration with just the two of them please! Celebs who feud with other celebs is nothing new and while no one is asking the following personalities to be friends (sometimes the damage done is too much for anything to be salvaged), in a world where Hollywood discards the experiences of women so easily (the fact that we’re only having a moment of reckoning in the #MeToo and #TimesUp movement speaks volume), we need to see more women supporting each other more than ever. Playing into a game that thrives on comparing women and drawing on their insecurities to pit them against each other is a movement that needs to die. Listen, there’s no denying that both of these stars are hella messy and problematic. In fact, Taylor has been feuding with so many people that many people ascribe some of the drama to her making a career out of being manipulative, and according to many, constantly playing the victim. Perry on the other hand, is problematic in the sense that she constantly veers between apologising and throwing shade, almost leaning into the narrative to keep the feud going. It’s actually kind of hard to believe that the two were once so supportive of each other. The feud allegedly started when, according to Time.com, Katy apparently hijacked two of Swift’s backup dancers for her Prism tour while they were still part of Swift’s Red tour. The how of the stories differ according to both parties. 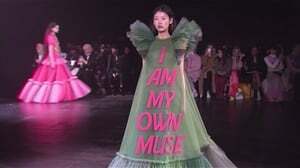 While Katy also started dating John Mayer, Swift’s ex, the biggest contention has always been about the backup dancers, since Swift considered that an act of sabotage. Following that came Swift’s song, Bad Blood, a not-so-subtle song about Katy Perry. Following that, Katy has since hit back with Swish Swish, which takes aim at Swift. It should be noted that in the years Katy has tried to apologise, but it seems as if the drama is destined to go on forever. We really hope not, because this bad blood is annoying and tiring and leans right into the narrative that women artists are vindictive, petty and aren’t capable of supporting one another. While we’re on the Taylor train, in a situation that led to one of her latest hits, Look What You Made Me Do being all about Kanye, the feud between Taylor and Kanye (this time Kim was brought into the mix) ignited once again after Kim released a recorded telephonic conversation that contradicted a claim that Taylor made about not knowing about lyrics in Kanye’s Famous song. Buzzfeed has written a comprehensive timeline of this exhausting feud, which spans over years. Their feud first started at what is now an iconic VMA’s moment in 2009 when Taylor won an award and Kanye interrupted her. Fast forward a few years later and they seem to have made amends and even posed together at the Grammy awards in 2015. And then Kanye released The Life of Pablo and a song called Famous – in which he said that he got Taylor’s blessing to include lyrics about her in the song, something which she denied and which eventually led Kim to post the conversation on social media. Since then, there’s been nothing but hostility, followed by Taylor’s Reputation album which includes a number of references to just how she feels about Kanye. Will this feud ever end? Somehow we doubt it. While no party in this is innocent, there has been too much damage done here to ever see even a remotely civil conversation taking place. A feud which resulted in one of the most petty and iconic phrases, “I don’t know her,” rumour has it that Mariah’s dismissive stance towards JLo is actually a result of a song sample acquisition sabotage. It also involves Mariah’s ex, Tommy Mottola, who at the time of her divorce was also head of the record label that she was signed with. According to Buzzfeed, their relationship was tumultuous at best and the divorce was acrimonious. It’s reported that Mottola started using his influence to sabotage Mariah’s career and when he heard that Mariah wanted to use a sample from a song called Firecracker, a song that Lopez also wanted to use (and which would eventually become her hit song, I’m Real), he allegedly used his influence to give the all-clear on the sample to Lopez. How involved Jennifer is in the mess is not quite clear, but the reason for Mariah’s goes beyond more than professional jealousy (as was rumoured). Frankly, I think this is another case of women being a victim and pawn in a game that was set up to play out in exactly this fashion, so one would really hope that the two will be able to see that in this story, they’ve both been played. On the local front, Bonang and Somizi went from #BFF to no longer even acknowledging each other. They used to be the best of friends. Media fawned over them, clamouring to take photos and interview the local darlings who’ve been riding the waves of fame and success for a good number of years. 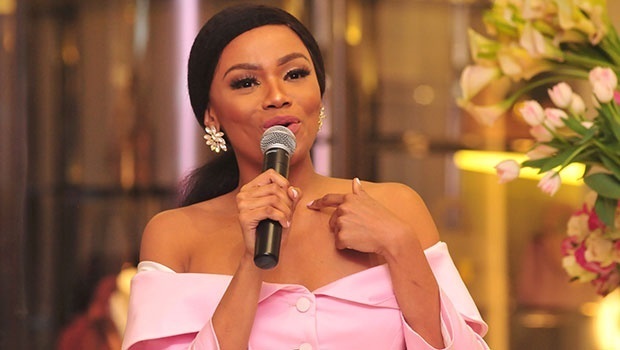 According to TimesLive, in Bonang’s book, Bonang: From A to B, she reveals that she ended her friendship with Somizi when he decided to become friends with her alleged abuser. She wrote that she couldn’t trust him anymore, not after it took her so long to leave the relationship and especially since she claims that Somizi knew and witnessed the violence towards her. Somizi retaliated to the claims by posting a video on Instagram throwing so much shade at her and her book – which was made worse especially considering that the first round of published copies were riddled with grammatical errors. Will they ever patch things up? We’re not sure - some things are friendship deal breakers, and when allegations of abuse and domestic violence are involved, it can definitely be one of them. Of course, not all feuds are left in a perpetual state of hatred. Sometimes celebs make amends and everyone breathes a little easier. Jada Pinkett has admitted to not being on the best of terms with fellow actress Gabrielle Union, but according to TooFab.com, the actresses have reconciled after a 17-year old feud. In an interview with The Today Show, Gabrielle stated that while the two of them never used the word feud, they were a bit estranged due to outside influences, and went on to add that their estrangement became something that was exaggerated by the media. The two have since reconciled and discussed their conflict when Union appeared on Red Table Talk, Pinkett’s Facebook talk show. They have decided they share so much common ground on so many issues – and since they’re both activists – putting aside any past differences would serve to merge their platforms to create change. So many happy feels over this.